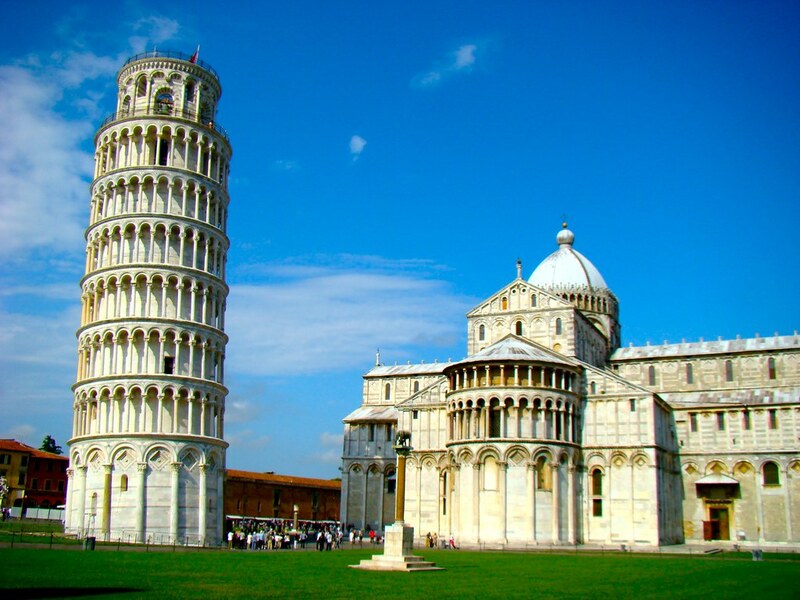 The Leaning Tower of Pisa is the famous tower, in Italy, that began to lean in the year 1173. 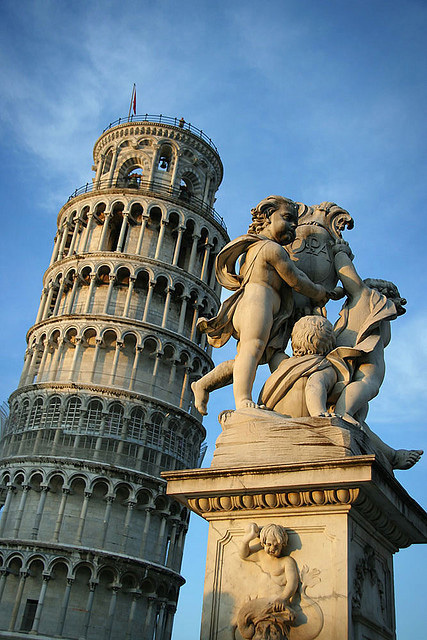 The leaning Tower of Pisa is a medieval arhitecture, in Romanesque style. 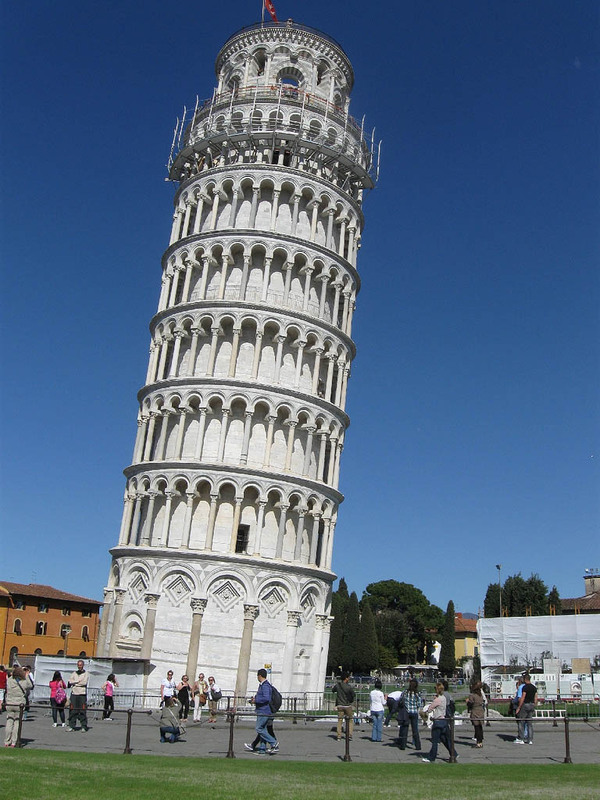 It wasn’t supposed to lean at all. 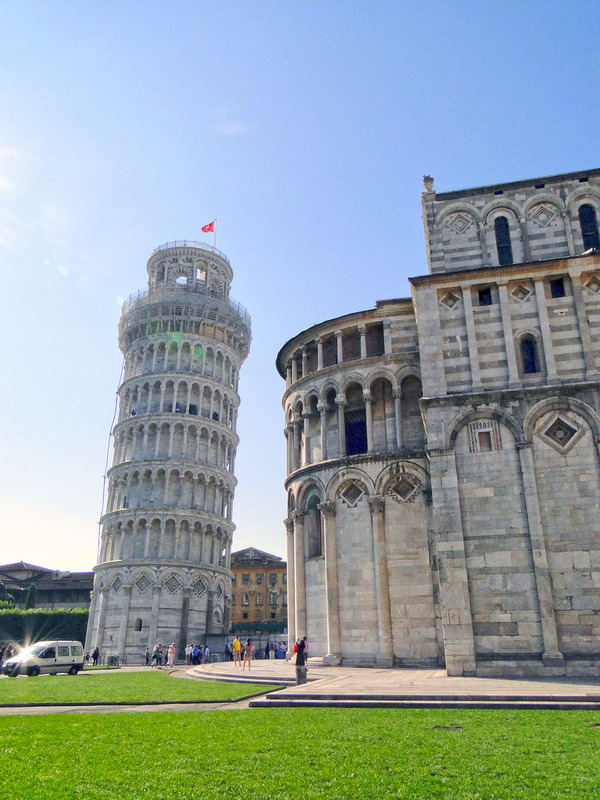 It was supposed to just be the bell tower for the Cathedral of Pisa. 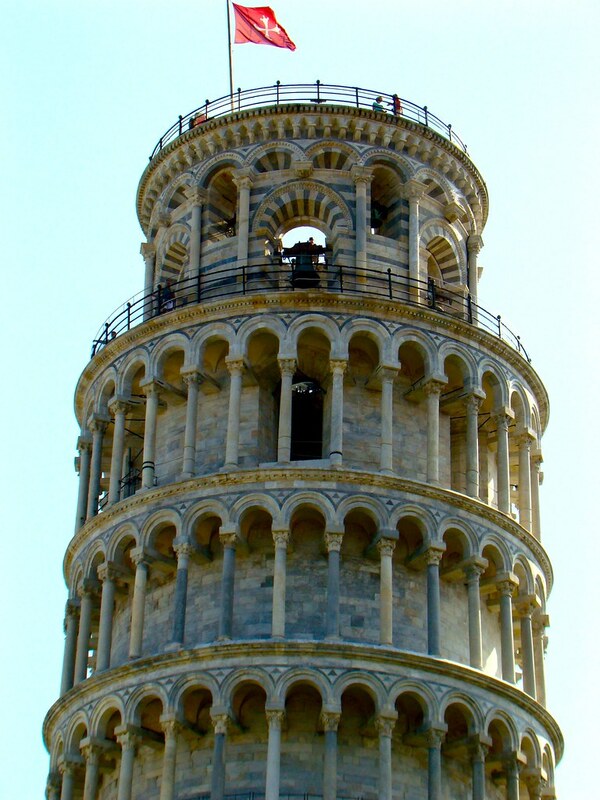 Architects realized that the tower was leaning when they had finished building one and one half meters of the third floor. The damage was irreversible so they halted construction until 1272 because war broke out against Florence. 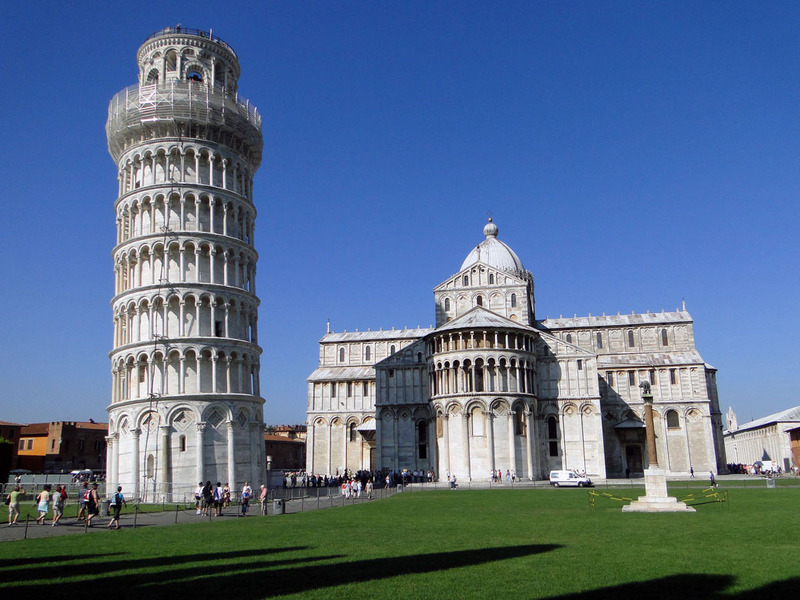 The tower construction remained on hold for about 100 years before the people of Pisa were able to return to the project. 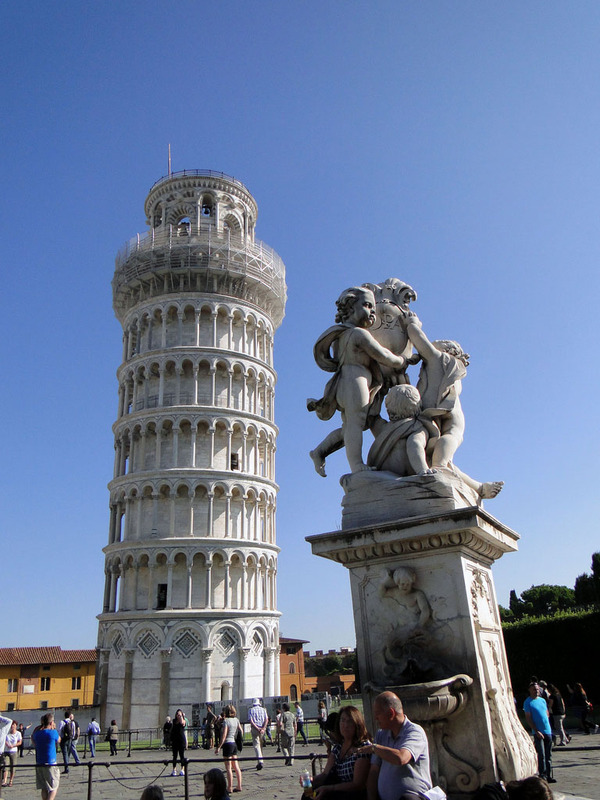 As the building project resumed, another four stories were added at a distinct angle to try to correct the sinking foundation. The correction wasn’t effective and the tower remained in a leaning state. The bells were attached in 1372 to the bell chamber on the top of the tower and construction was declared finished. 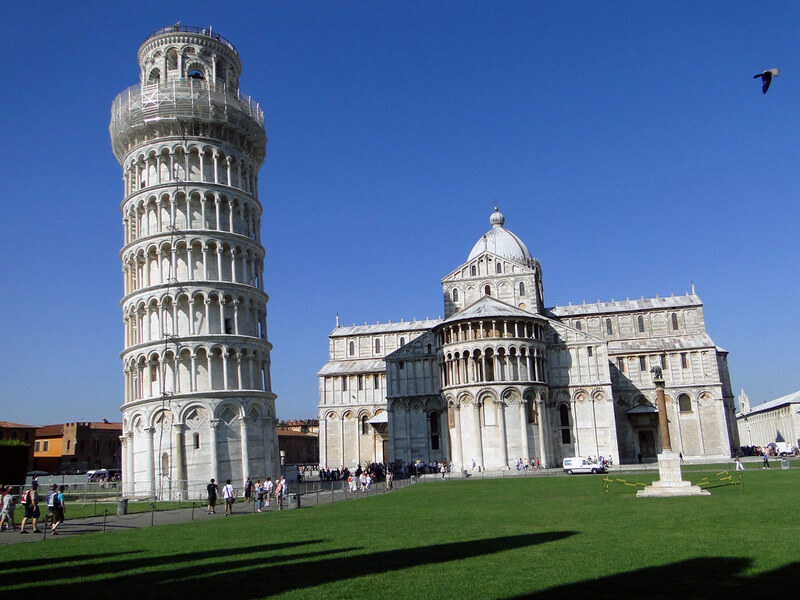 The lean was caused by the sandy and marshy soil that the tower was built on. 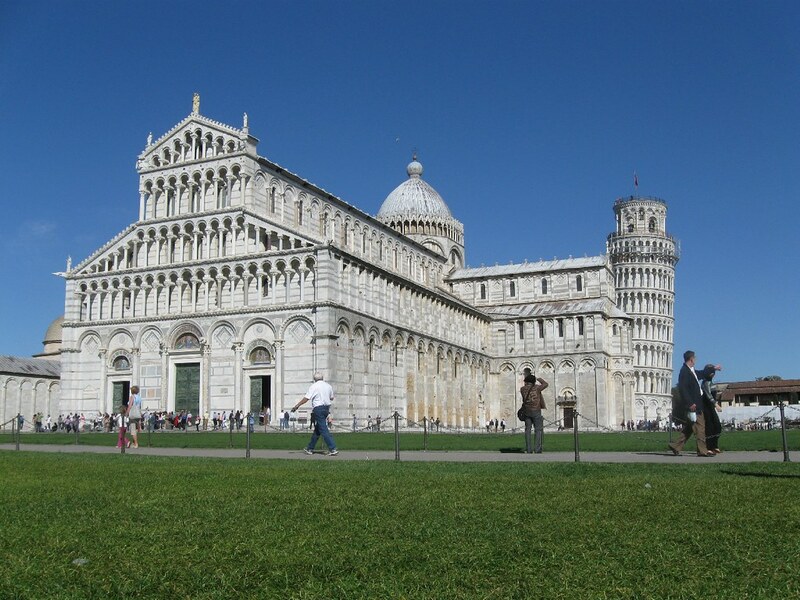 The original completed height of the Tower of Pisa is 60 meters. 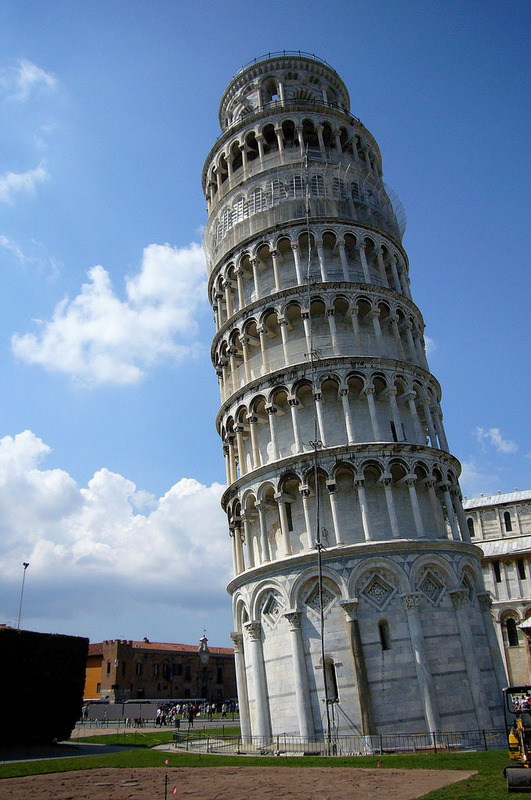 Actually the tower’s height is 56.67m on the highest side and 55,86m on the lowest side. 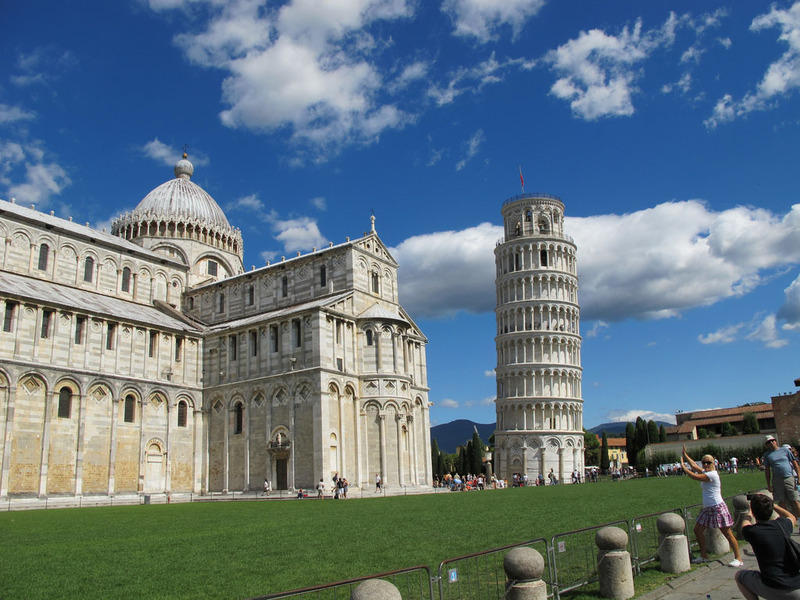 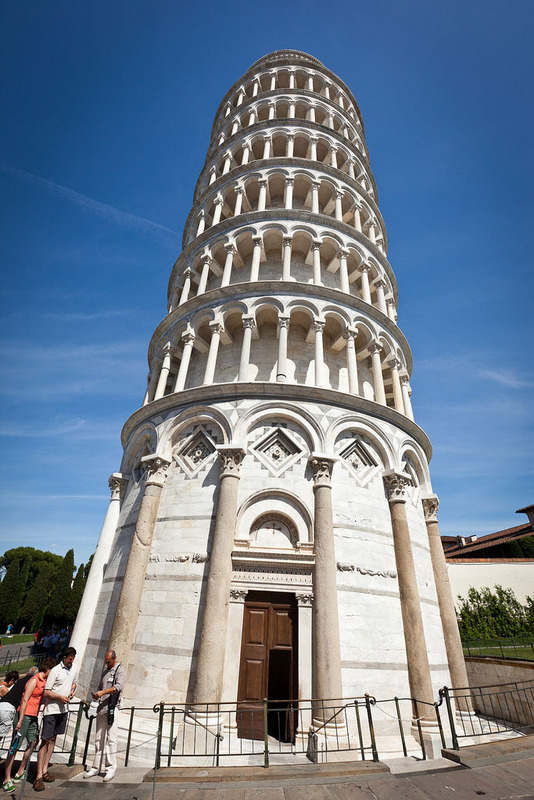 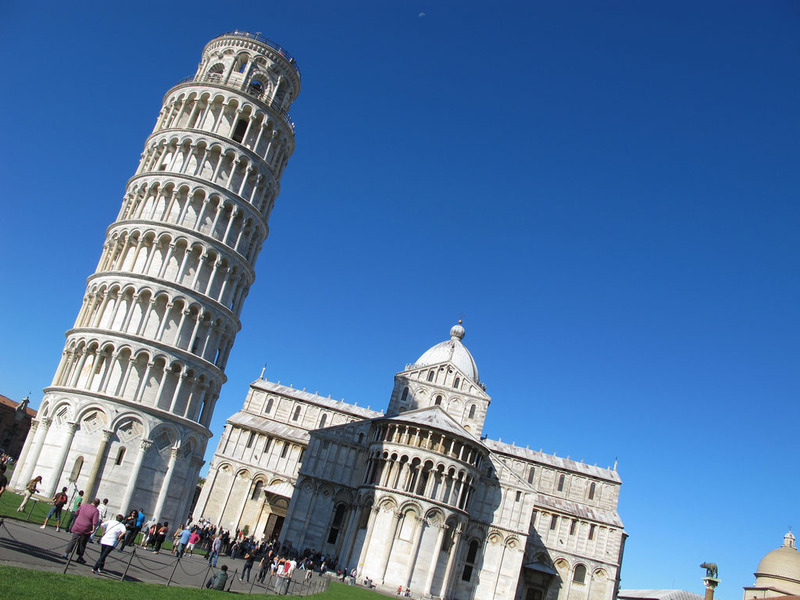 outside diameter of the leaning Tower of Pisa’s base is 15.484 meters. 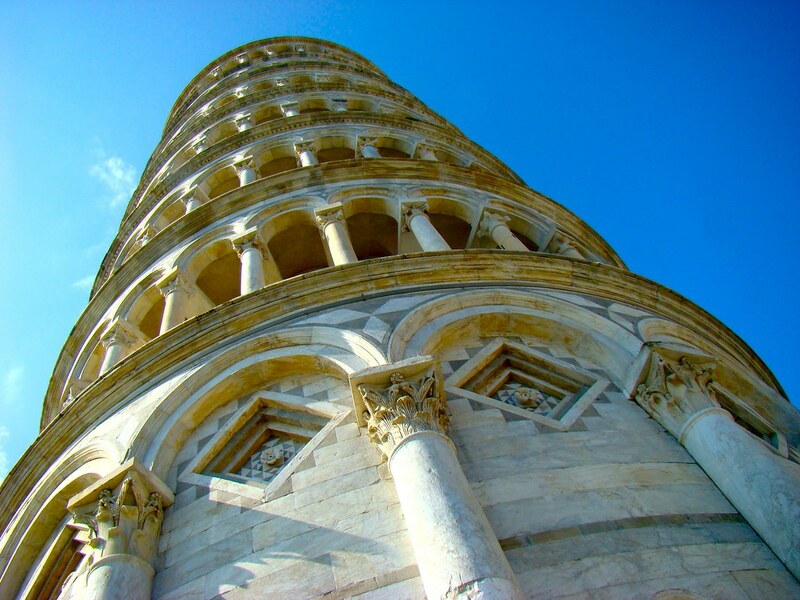 there are 297 steps from the bottom to the top of the Pisa tower.